Welcome to the Coopers Farm team, where the daily banter and jokes seem to get more extreme each month. We work hard, but we also play hard. We all belong to Sussex Bonfire Societies and from September to November dress up and raise funds for charity. Often we like to play a few tricks on our volunteers, so be prepared if you join the team as a volunteer. I am passionate about farming and the experiences that I share with my children and customers. I originally grew up on a dairy farm in Heathfield, East Sussex and then worked with the Forest Rangers on Ashdown Forest, so always had a strong connection to the land. I can genuinely call myself a true local born and bred in Sussex. 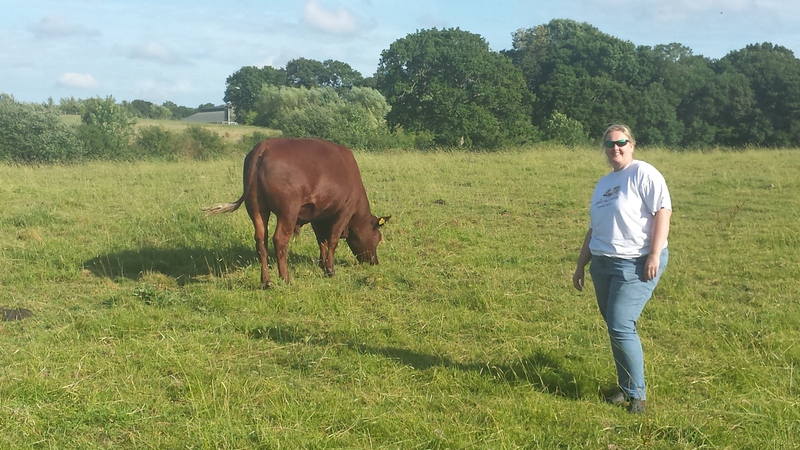 My primary objective is conserving the landscape and producing the best Sussex Beef. As “The Boss” my job is to wind the team up. Unfortunately this often backfires and I get a taste of my own medicine back. I love the fun and joking along with the hard work which is part of everyday farming. 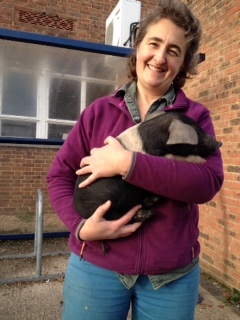 Hi, I’m Jackie and have been with the Coopers Farm team for 4 years, initially growing the vegetables in our garden but progressing to “other jobs” as well, lucky me! I don’t think there is a job I haven’t done yet although I’m sure the “Boss” will find some thing and add to his “many lists” of things to do! He loves lists, I’m not so convinced! ? The farm is my “Paradise” as its a fantastic place to be in the beautiful Sussex Countryside, with the animals and the team. I have been involved in dairy farming but that was quite a few years ago in North Stoke, West Sussex. I enjoy being outside and encourage my children to enjoy and appreciate our County through the farm (my eldest is studying at Plumpton and my second son has his ducks and chickens at Coopers Farm) and through our association with the Uckfield Bonfire and Carnival Society. I am the newest member of the team joining in 2012. 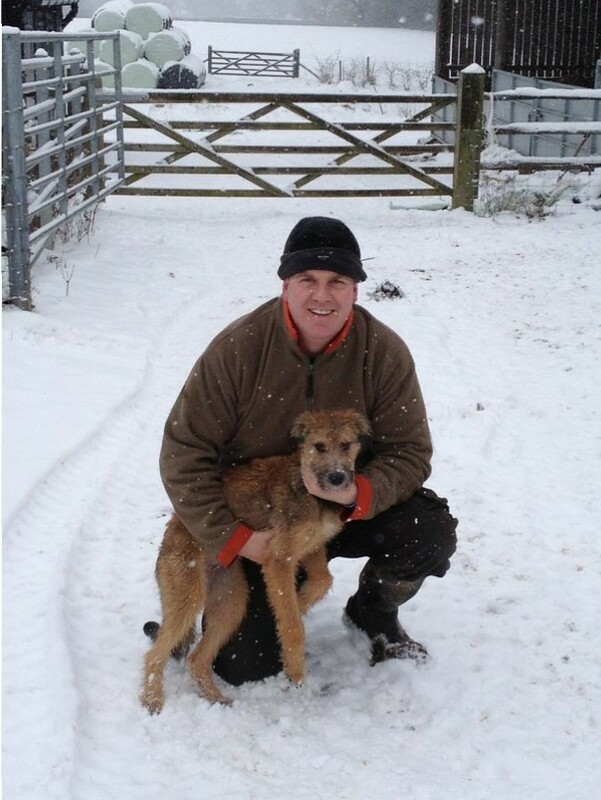 Coopers Farm became my home in 2013 and I have enjoyed being welcomed by the rest of the team. We work hard and play hard on the farm and above all else we have lots of fun. I don’t come from a farming background but have always enjoyed being outside and working with animals. Although Michael thinks he is “The Boss” ( and I don’t mean Bruce Springsteen) I am the one who organises the whole team and keeps them on track. I also look after the farm house, the 2 Lurchers Tess and Muttley and Jack the Jack Russell who is a grumpy old man but once he gets to know you he is very lovable. 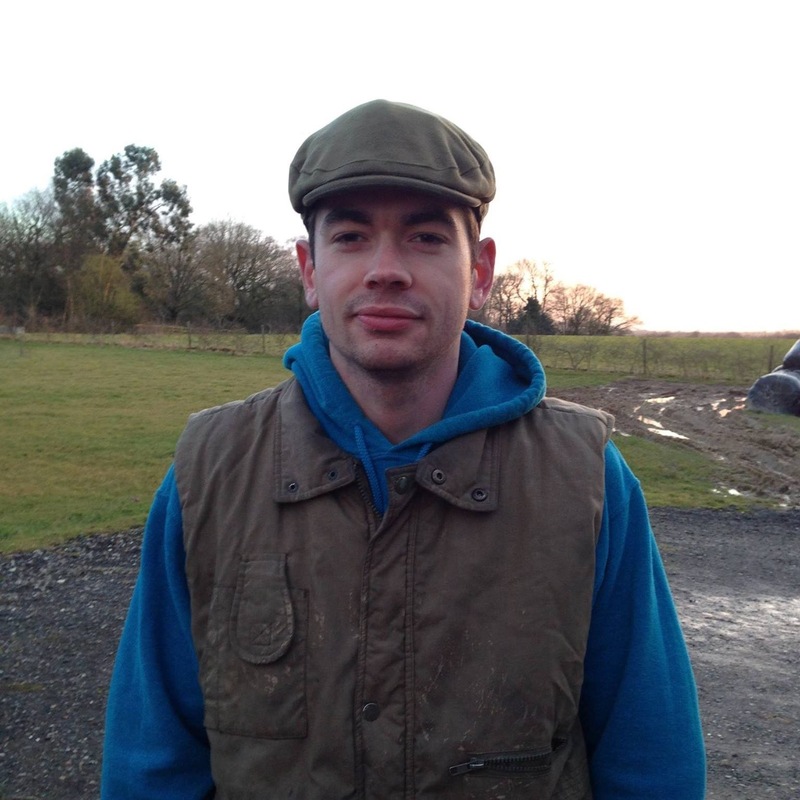 I have been part of the Coopers Farm team since it started in 2007, I was only 16 at the time. In the early days, I spent every weekend fencing and cutting back hedges to re-created the old traditional field patterns of the early 1600’s. Today I help out with the animals, field maintenance and help the manage the farm. In fact more often than not I use the farm as a second home. I have also seen just how much hard work goes into making a farm work, and to produce the best meat. Its a real experience to following an animal from field to plate, and it has certainly made me appreciate the food that we eat. Its hard work, but also enjoyable. I also love seeing the calves being released onto spring grass, which is a funny experience and brings me much joy. Not a day goes by where I don’t learn something, or have a new challenge presented to me. 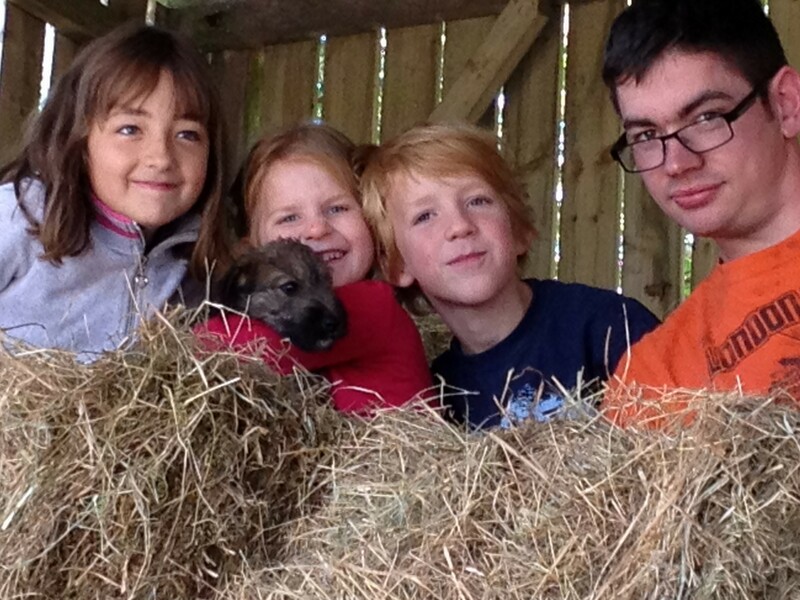 The Coopers Farm young farmers are in effect the next generation. We are extremely proud of our kids who have grown with the farm, mucking in, and joining in the overall banter of the farm. The life experiences that the children get are lifelong, from taking responsibilities for feeding and mucking out to understanding the marketing and sales with our customers. The farm dogs are very much part of the team. Nearly all our customers are greeted by them. Each one of them has its own character. 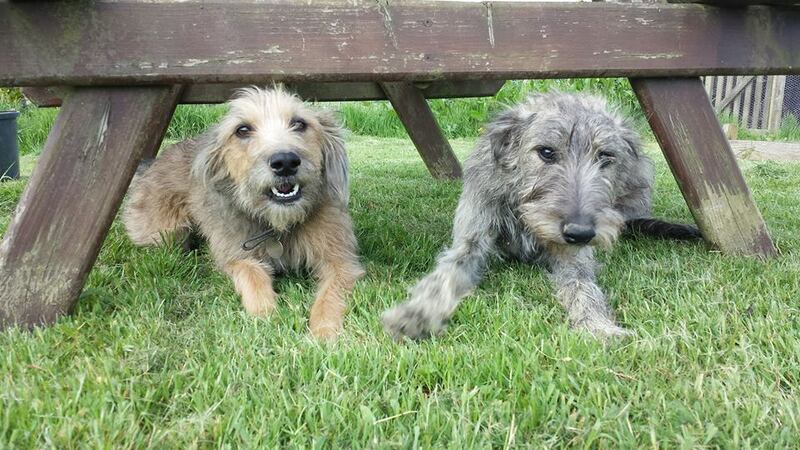 Picture of Tess and Muttley. Jack the Jack Russell is the grumpy old man of the dogs and doesn’t like having his photo taken. Joe the duck commander manages all the ducks on the farm and currently has Cherry Valley Ducks and an Indian Runner Duck. 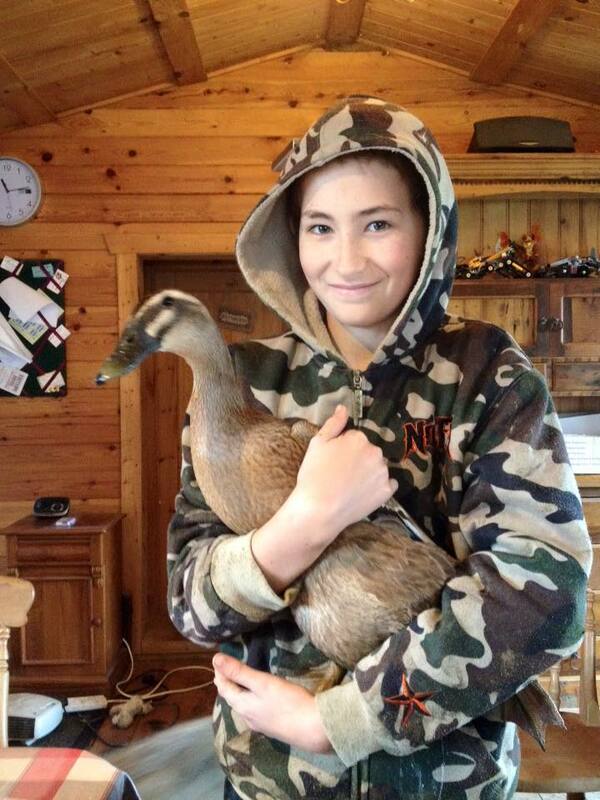 Joe hopes that one day we will be able to raise ducks for meat as well as the eggs he already produces. The currently has 5 ducks and is hoping to expand this during this year. The Cherry Valley ducks are similar to the Aylesbury and are a dual purpose duck for meat and eggs. The Indian Runner is solely for producing eggs. The ducks can produce around 300 large eggs per year although they do have a break when they are moulting.